If you're a resident of California or New England, you could be in for some special pampering after this year's Super Bowl. 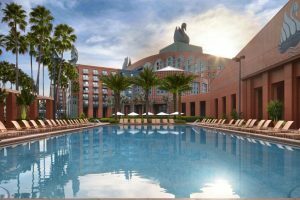 The Walt Disney World Swan and Dolphin Resort is rewarding fans with the Champions Package, exclusively for residents of the winning team’s state. 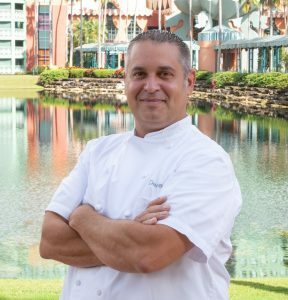 The Walt Disney World Swan and Dolphin Resort has promoted Dan Herman to executive chef. 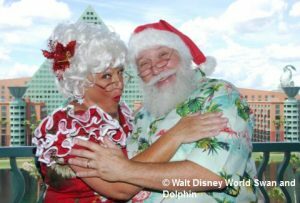 Herman began his career at the Walt Disney World Swan and Dolphin Resort nearly 20 years ago in 1999 and has since played a vital role in the resort’s culinary success. 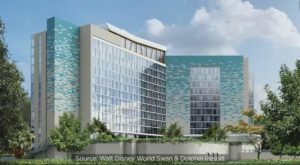 He has developed multiple training and development programs and … Continue reading "Walt Disney World Swan and Dolphin Resort Announces New Executive Chef"
The Walt Disney World Swan and Dolphin Resort is undergoing its next redesign project, a $3 million transformation of the Swan Resort&apos;s lobby, public spaces and coffee bar. Upon completion, the resort&apos;s two main lobbies, all guest rooms and meeting spaces will all have completely updated appearances. 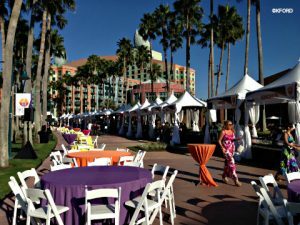 An all-new Hawaiian luau-themed area will debut at the Walt Disney World Swan and Dolphin Resort&apos;s 2018 Food & Wine Classic on Oct. 26 - 28, taking guests on a culinary journey to the Pacific from the resort&apos;s private beach. The new area, named The Pig and The Poke, will feature Hawaiian decor along with several food favorites of the island state including: -- Traditional Earth Baked Kalua Pork with steamed white rice, barrel aged tamari and Napa cabbage -- Tuna Poke featuring Hawaiian yellowfin tuna, sushi rice, avocado relish and crispy fried wontons -- Finely Shaved Ice in a variety of tropical flavors: guava, pineapple, coconut cream, passion fruit, lychee, kiwi and mango Visit www.SwanDolphinFoodandWineClassic.com to view the complete food menu for the 2018 event, as well as purchase tickets and overnight packages. The 2018 Walt Disney World Swan and Dolphin Food and Wine Classic, which will take place October 25-26, has released new details, including information on a new experience called Pig and Poke, inspired by the foods of Hawai&apos;i. 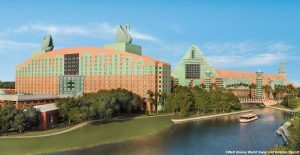 Fans can celebrate this year&apos;s football championship with a special offer from the Walt Disney World Swan and Dolphin Resort. Residents of either Pennsylvania or New England will be able to celebrate with the exclusive Champions Package.